Home Destinations Payette River Games Serve Up Whopping $100K Purse! Payette River Games Serve Up Whopping $100K Purse! Don’t be surprised if your local rivers are a tad empty of their better boaters the weekend of June 20-22. Chances are anyone worth his or her weight in water will be making their way to Kelly’s Whitewater Park on the Payette River in Cascade, Idaho, for the 2014 Payette River Games, whose $100,000 cash purse makes it the most lucrative river competition in the world. With over $100,000 up for grabs over the weekend, most anyone who’s anyone in the world of competitive whitewater will be there vying for top honors. The event offers cash prizes for everything from Boater X, Freestyle and 8 Ball to an Expression Session. It even pays out for kids events in junior and cadet classes. 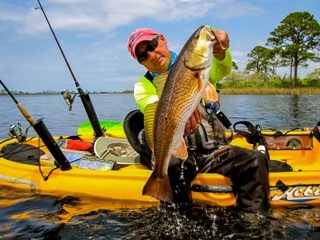 In all, the Games are dishing up a $50,000 prize purse for the kayaking events and another $50,000 for the stand up paddleboarding events, marking the biggest paddlesports purse in history. For paddlers, that’s a lot of shuttle money. 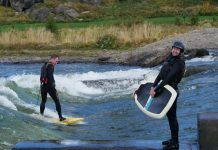 And lest you’re afraid of running head-to-head against three-time Whitewater Grand Prix winner Dane Jackson, the event also pays out all the way down to tenth place for men and women in Freestyle, Boater X and a few SUP events. 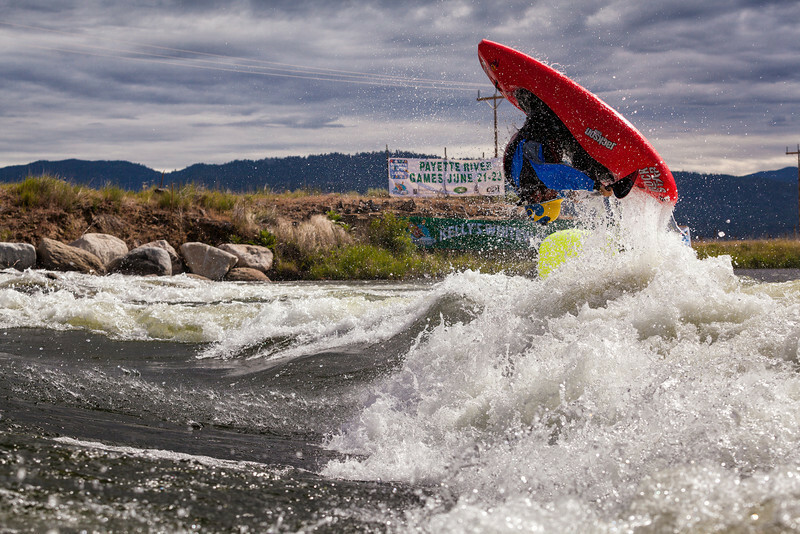 As excited as they are about the purse, competitors are equally excited about the venue at Kelly’s Whitewater Park, a manmade series of waves and holes on the upper North Fork of the Payette River. 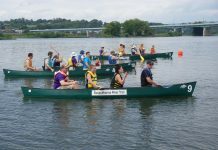 “It’s one of the leading freestyle kayaking venues out there,” says Picard, adding that so far he has athletes from 30 states and 13 counties already coming. Competitors agree. “This really is a great event on a fantastic feature, at an amazing venue,” says Clay Wright, who won the Men’s Freestyle Kayak event in 2013. The excitement also stems from the red carpet rolled out for competitors. As long as they’re in the hunt, they can eat fresh, organic food at the Athletes Food Tent for free throughout the weekend. Organizers are also providing entrants with free camping, airport shuttles, t-shirts, live music, free beer from the Payette River Brewery and free admission to the Roxy movie theatre in town. Plus every athlete gets entered to win a free iPad 4.